Pencils Books and Dirty Looks: Target, Panera, iTunes, Starbucks!! Only 2 days left in my giveaway!! Target, Panera, iTunes, Starbucks!! Only 2 days left in my giveaway!! Only two days left in my 300 follower giveaway! 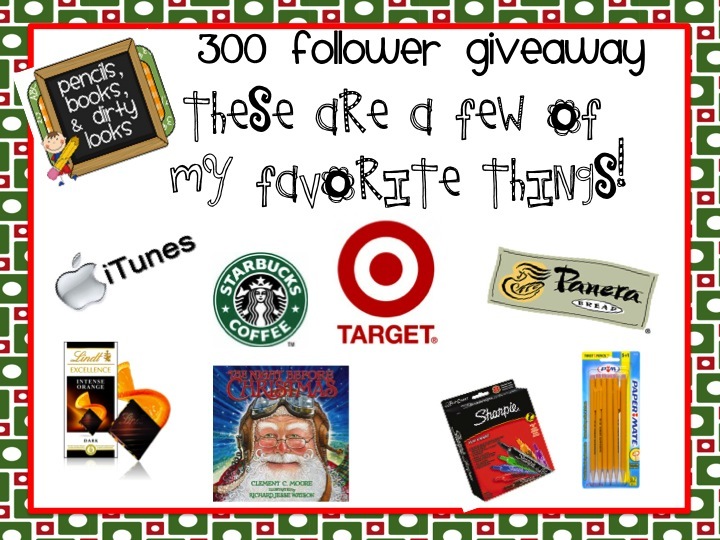 I'm giving away a Target, Panera, iTunes, and Starbucks gift cards plus a few other goodies to one lucky winner. 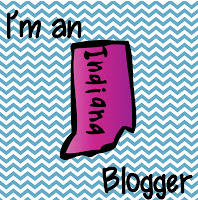 Please help me spread the news and blog or Facebook about my giveaway! 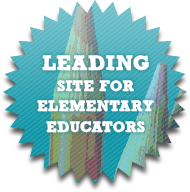 Thanks for your support!! Congratulations on 300 followers! All of your favorites are also my favorites...Panera, Star Bucks, orange chocolate, Target, etc. How fun it would be to win! 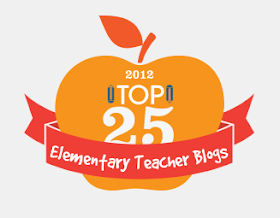 I am a first year Resource teacher, love my job, and have enjoyed reading blogs.